Product prices and availability are accurate as of 2019-04-17 12:14:54 EDT and are subject to change. Any price and availability information displayed on http://www.amazon.com/ at the time of purchase will apply to the purchase of this product. 8" overall. 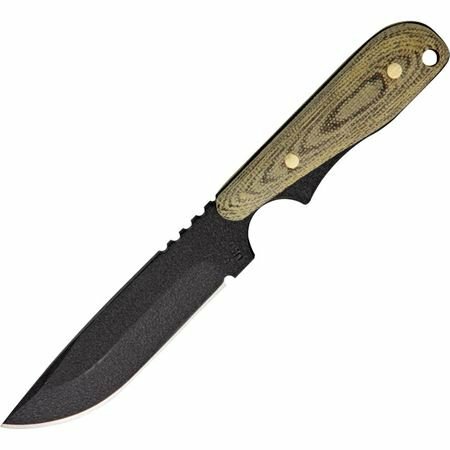 4 1/8" 1095 high carbon steel drop point blade with black powder coat finish. Full tang. OD green canvas micarta handles. Lanyard hole. 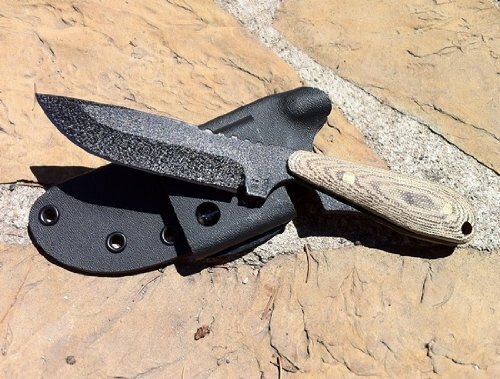 Molded black Kydex sheath with horizontal, vertical and 45 degree draw option.